The online anthology 3Bute, in collaboration with the Caine Prize for African Writing, is illustrating the five short stories nominated for this prestigious award. The illustrations allow readers to add links to articles, tweets and other content that provides context to the stories. 3Bute uses this format to illustrate stories on Africa, as it adds context that is otherwise missing in mainstream media. 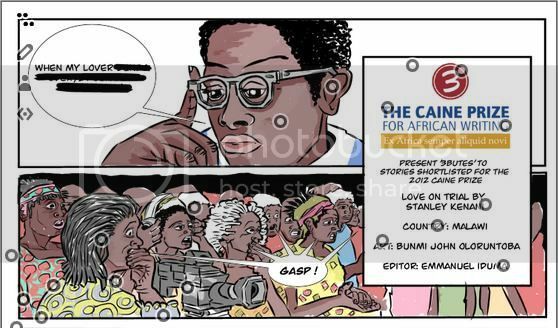 They previously illustrated Stanley Kenani’s “Love on Trial” and below are the second two illustrations in this series, Melissa Tandiwe Myambo’s “La Salle de Depart” and Constance Myburgh’s “Hunter Emmanuel“. In La Salle de Départ, the author smuggles a critique of male gender bias in African societies using a story of a young emigre struggling with an obligation to his Senegalese family he thinks will jeopardize his “modern” lifestyle in New York city. Lumberjack Hunter Emmanuel is trying to solve the mystery of how a woman’s leg got severed – and why he cares. 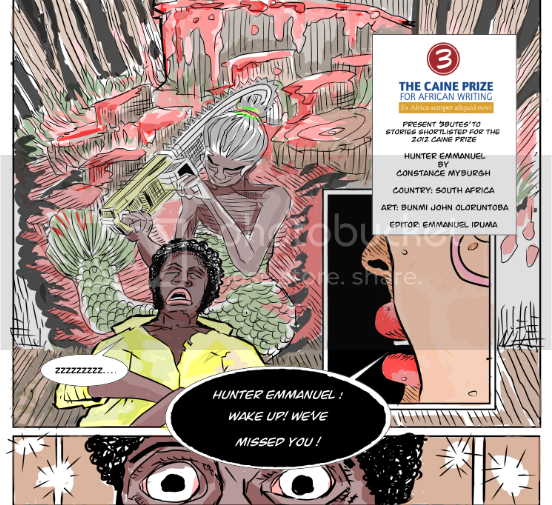 Constance Myburgh’s Hunter Emmanuel is one of five stories shortlisted for this year’s CainePrize, Africa’s leading literary award, now in its thirteenth year. The online anthology 3Bute, in collaboration with the Caine Prize for African Writing, is illustrating the five short stories nominated for this prestigious award. The illustrations allow for readers to add links to articles, videos, tweets, ect, to provide context to the stories. 3Bute also uses this format to illustrate reports on Africa, adding context otherwise missing in mainstream media. In ‘Love on Trial,’ a village in Malawi becomes the epicenter of a media storm as a young man defends himself against the country’s anti-gay laws. Stanley Kenani’s ‘Love on Trial’ is one of five stories shortlisted for this year’s Caine Prize, Africa’s leading literary award, now in its thirteenth year. 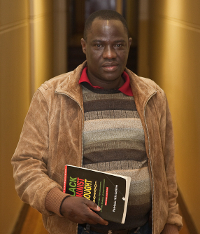 Malawian author Stanley Kenani has been shortlisted for the 2012 Caine Prize for African Writing for his short story “Love on Trial”, published in For Honour and Other Stories. Kenani is up against Nigeria’s Rotimi Babatunde, Kenya’s Billy Kahora, Zimbabwe’s Melissa Tandiwe Myambo and South Africa’s Constance Myburgh for the £10 000 prize, the winner of which will be announced on 2 July. Last week we featured Kahora’s shortlisted story, “Urban Zoning”. Mr Lapani Kachingwe’s popularity has soared. He has always been popular because of his love for strong drink. But from the time he stumbled upon two young men in a toilet, his fame has reached levels he never imagined. In principle his story is for free, whether he is sober or drunk, but in practice if you want to get down to the finest details, ‘the juiciest parts’ as he calls them, you have to buy him a tot of kachasu, the spirit distilled at Mr Nashoni’s Village Entertainment Centre on the outskirts of Chipiri village. In truth, nobody ever finds out what the strands of those details are in Mr Kachingwe’s story. After listening to it many times, one comes to the conclusion that whatever happened in that toilet, the long and the short of it is that Mr Kachingwe caught two boys, one of whom is Chipiri village’s own Charles Chikwanje and the other a stranger presumably from a neighbouring village, in flagrante. Alert! The shortlist for the Thirteenth Caine Prize for African Writing has just been announced. The winner of the £10 000 prize, currently held by Zimbabwe’s NoViolet Bulawayo, will be announced at a celebratory dinner at the Bodleian Library, Oxford, on Monday 2 July. The shortlist for the 2012 Caine Prize for African Writing has been announced today (Tuesday 1 May) by Ben Okri OBE, the new Vice President of the Prize. 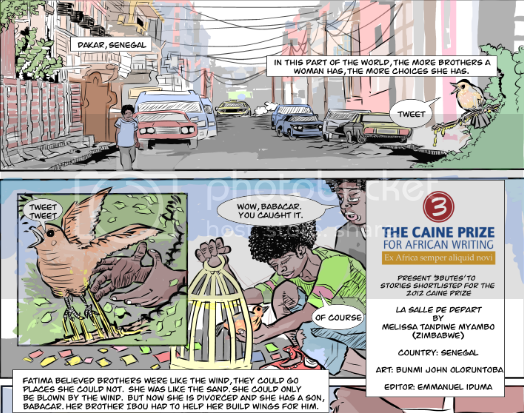 The Caine Prize, Africa’s leading literary award, is now in its thirteenth year. Involved from the beginning, Ben Okri, the internationally acclaimed Nigerian writer was announced as the Vice President of the Prize last week (26 April 2012). Ellah Allfrey OBE, deputy Editor of Granta magazine is the new Deputy Chair. The winner of the £10,000 prize is to be announced at a celebratory dinner at the Bodleian Library, Oxford, on Monday 2 July. Last Monday, a special memorial service was held to pay tribute to Dr Reuben Chirambo, who passed away last week. Members of UCT’s Department of English Language and Literature gathered to honour the man not only regarded as “one of our most important scholars of African Literature” but also responsible for the education of two out of four members of the Books LIVE team. He will be greatly missed. It’s with immense sadness that we mark the passing away of our dear friend and colleague, Dr Reuben Chirambo. Messages of condolence have been sent to us from all over—and the messages are remarkable in their consistency. We mourn the loss of one of our most important scholars of African Literature at a time when this is one of the leading fields of enquiry within our discipline. So many of the messages have spoken about the untimeliness of Reuben’s passing away. Mbongiseni Buthelezi speaks for many of us when he says, “there was much that I was still hoping to learn from Reuben.”But quite apart from Reuben’s scholarship, there’s so much else that we had to learn from our friend and colleague—and as long as we take the trouble to remember that, Reuben’s legacy is something that remains with us. When Colleen Higgs started the small independent publisher, Modjaji Books, it was with the express intention of creating a space for new writers to develop and emerge. At the launch of the fifteenth book on her list, Bed Book of Short Stories, held at the Franschhoek Literary Festival on Saturday, the rain queen quite literally appeared. Tears flowed as an overwhelmed Higgs beamed with delight as she showed off the latest addition to the Modjaji family. She said it had been an early goal to publish an anthology of short stories. “I love this form,” she said, “and I figured there had to be others who would want to read short stories too. There certainly are many who like to write them.” Another goal was to cast the net wide so as to include writers from countries across the border. The collection includes writers from Zimbabwe, Malawi, Botswana and Mozambique. She saluted Higgs’ vision, saying she was a “brave publisher that takes risks”. She siad it was imperative to seek out new writers and to nurture and engage with fresh voices in order to expand the literary canon in South Africa. Higgs said this publication was a testament to teamwork on every level. She acknowledged Lauri Kubuitsile who had read more than 300 stories and come up with the selection that called to her most strongly. Maire Fisher’s proof reading and Colleen Crawford-Cousins’ practical and emotional support had been supremely valuable. She acknowledged the financial support of the Arts and Culture Trust that had enabled her to keep the resale price of the book down. Additionally, the support of Jenny Hobbs of the Franschhoek Literary Festival, Le Bon Vivant, the restaurant that hosted the launch and provided the delectable munchies, and Porcupine Ridge all contributed to a delightful welcome for the Bed Book of Short Stories. Alert! SA PEN has issued its call for entries for the £10 000 2011 PEN/Studzinsky Literary Awards – which are judged by JM Coetzee – and has announced that Margie Orford is set to replace Shaun Johnson on the PEN executive. The winner of the inaugural PEN/Studzinksy award was Karen Jayes, who received the £5 000 first prize at the 2009 Franschhoek Literary Festival. Andrew Salomon took the £3 000 second prize, while Ceridwen Dovey and Nadia Davids shared the £2 000 third prize. In a not-altogether-welcome shift of policy, SA PEN has reverted to the geographical scope of its award that was in place before it secured sponsorship from current benefactor John Studzinski. That is, only residents of SADC‘s fifteen countries may enter, whereas the inaugural award was open to the whole of Africa. (See the press release below for the full list of eligible countries.) Happily, the lack of any age restriction on entrants appears to remain intact. 3 000 to 5 000 word short fiction entries in English are invited from 1 March 2010; submission details will be posted to the SA PEN website on that date; no final closing deadline appears to have yet been set. The South African Centre of International PEN (SA PEN) is pleased to announce the launch of the second in the series of PEN/STUDZINSKI Literary Awards. Entries for the award for original short stories in English are called for from 1 March 2010 and AFRICAN PENS, a compilation of the short-listed stories, will be published in mid-2011. Prizes totalling £10 000 will once again be donated by American philanthropist and global investment banker, John Studzinski. The first, second and third prizes will be £5 000, £3 000 and £2 000, respectively. Nobel Laureate and SA PEN Honorary Member, J.M. Coetzee, will once again select the winning entries. The 2011 PEN/STUDZINSKI Literary Award aims to encourage creative writing in southern Africa and will offer talented writers an exciting opportunity to launch or develop a literary career. Twelve contributors to our earlier HSBC/SA PEN series have now published their own books, including Ceridwen Dovey who won the 2008 Sunday Times Fiction Prize. Petina Gappah, an early winner, went on to sign a three-book contract with Faber & Faber in the UK and Farrar Strauss & Giroux in the US. Three of the five short-listed stories for the Caine prize for African Writing first appeared in AFRICAN PENS 2007 – the model for AFRICAN PENS 2011. The story POISON, set in a threatened Cape Town, and written by author Henrietta Rose-Innes, was chosen by J.M, Coetzee as the winner of the 2007 HSBC/SA PEN Literary Award and it went on to win the 2008 Caine Prize of £10 000. 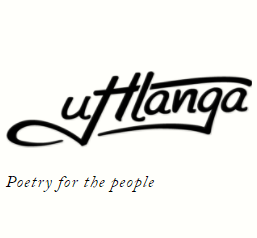 Our 2009 project, led by author Shaun Johnson, received over 800 entries from writers throughout Africa, but this year we revert to appealing only to writers living in the fifteen countries of the Southern African Development Community (SADC*). The genre is still the short-story, this time between 3 000 and 5 000 words. Writers who are citizens of SADC countries* are encouraged to prepare short stories for submission. Further information and detailed rules of entry will be posted on the SA PEN website, www.sapen.co.za, from the 1 March 2010. 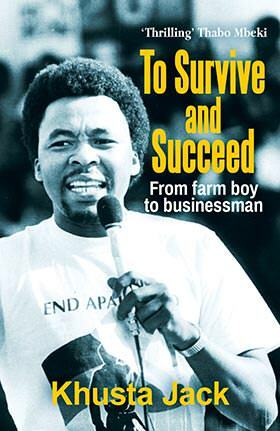 Previous publications featuring the shortlisted and winning stories from the 2005, 2006 and 2007 HSBC/SA PEN, and 2009 PEN/STUDZINSKI Literary Awards are: AFRICAN COMPASS (2005, New Africa Books), AFRICAN ROAD (2006, New Africa Books), AFRICAN PENS (2007, New Africa Books), NEW WRITING FROM AFRICA 2009 (2009, Johnson & KingJames Books). * SADC countries: Angola, Botswana, Democratic Republic of Congo, Lesotho, Madagascar, Malawi, Mauritius, Mozambique, Namibia, Seychelles, South Africa, Swaziland, Tanzania, Zambia, and Zimbabwe.